FIRST Tech Challenge (FTC) robotics teams love 3D printed parts! From gears to treads, from wheels to phone mounts, from sprockets to strain relief, the FTC 2016 World Championship was full of colorful 3D printed parts. Simply walking down the aisles of the pits, we were hard-pressed to find a team that didn’t utilize this exciting technology in some way. Most teams use Stratasys 3D printers, we noted, including many MakerBots. Students were eager to speak with us about their 3D printed components, and we learned about many unique design elements made possible thanks to Stratasys 3D Printers. On our World Championship robot, we used a large variety of 3D printed parts, including a sprocket, sensor mounts, strain relief, a wedge, a spool and a phone mount. We have found that Stratasys 3D printers are incredibly helpful in creating parts when nothing that fits our needs exists. Having access to a 3D printer allowed the team to visually see what they needed to fix and what they could leave “as-is.” We personally enjoy our Stratasys MakerBot Replicator 3D Printer because of its user-friendly interface; it gives us the power to create nearly anything. When taking a quick glance over the lineup of robots present at the World Championship, anyone’s eye would immediately be caught by the robot designed and built by the Blockheads, FTC team 7117. Their rainbow-colored creation was almost entirely 3D printed, from the treads to the debris collector. By the team’s last count, their robot had more than 80 3D printed parts!The use of 3D printed anatomical replicas for medical education and training is steadily increasing, driven by a desire to find alternatives to expensive, hard-to-get cadavers; animal models that don’t include pathology; or mannequins that don’t represent the full range of clinical complexity. 3D printed static biomodels, instrumental for communicating anatomical structures, and physical simulators, which are used to practice medical procedures, may be valuable tools to address the training difficulties – but the benefits must be better understood. One thing that has been lacking until now is the comprehensive analysis of investigative works, trials and studies related to the education of students, residents and practitioners. Daihatsu Motor Company, known for manufacturing compact, lightweight cars, will offer customers customized design elements for car exteriors. Stratasys FDM 3D printing technology was used to “build” these three-dimensional patterns, called Effect Skins, for the front and rear bumpers of Daihatsu’s Copen 2-door convertible. “Using Stratasys 3D Printing technology to customize and supply parts to customers and to allow self-expression within a single car is, I believe, a first,” said Osamu Fujishita, General Manager, Corporate Planning Department, Brand DNA Office, Daihatsu Motor Co., Ltd. The auto experts at Daihatsu collaborated with designer Kota Nezu and 3D modeling artist Sun Junjie. Nezu’s firm, Znug Design, manages planning and design for industrial products, such as cars and motorcycles. 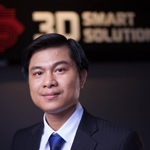 Junjie has had extensive experience in fashion, as well as a deep understanding of what Stratasys 3D printing solutions have to offer, but had never worked with the automotive industry. 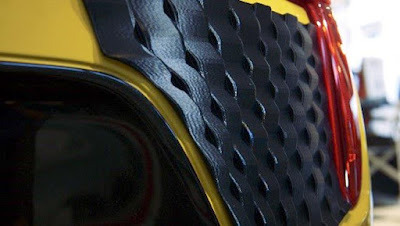 The pair developed more than a dozen base patterns of Effect Skins in 10 different colors; customers can tweak the geometric patterns for truly unique signature designs for their car’s exterior. Click here to keep up to date with the latest 3D printing breakthroughs for the automotive industry. 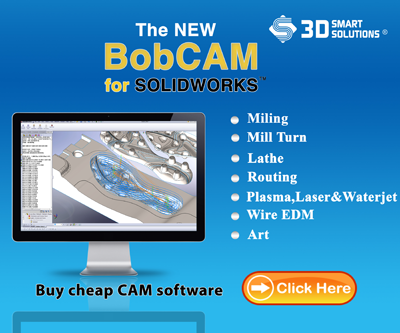 Register for a free webinar on the benefits and processes involved in 3D printing end-use parts. Daihatsu 3D printed the Effect Skins in ASA thermoplastic, which is durable and enables thin, sturdy walls. The ability to quickly 3D print and test design concepts and iterations allowed Junjie to experiment with many different designs and try and test numerous styles quickly. Mass production of parts, a traditional manufacturing method of reducing costs, takes advantage of economies of scale. But Stratasys’ participation in the Effect Skins project means that certain parts can be personalized on-demand while remaining cost-effective. “We believe on-demand production with 3D printing offers definite benefits to supply chain efficiencies and allows easy access for customers,” Fujishita said. “So we see it as essential in growing the market for these products and that’s how we are moving forward.”l training, and evaluated accordingly.